Since our shop has opened, we have constantly sold Merchant & Mills’s sewing products from England. We not only love their refined quality products but also their well-made couture and core value behind their brand - refined and considered quality, a continuation of tradition and a belief that couture should nevertheless remain accessible. In 1970’s England, the whole business of making and sewing was a women’s profession that people did at home and was never taken seriously. 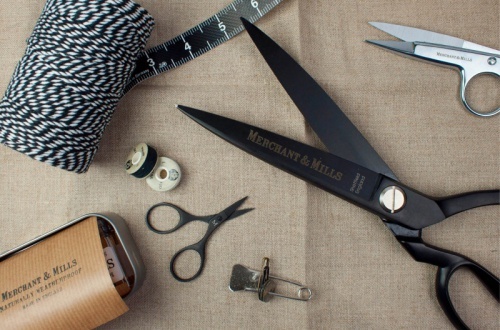 By elevating it, the fashion designer and tailor Carolyn Denham and respected photographer Roderick Field began Merchant & Mills in 2010, with the intention of bringing style and purpose to the overlooked world of sewing. They want Merchant & Mills to appeal to the unexpected markets and change current insight about making. 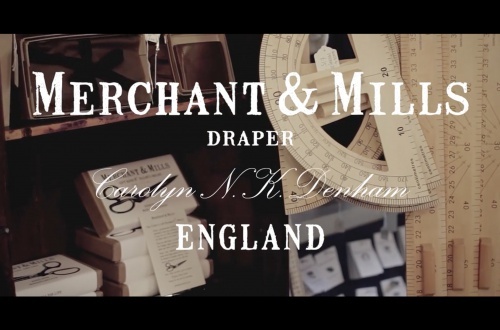 Carolyn and Roderick believe Merchant & Mills is an alternative to the high street and general crafting, it is more like a different lifestyle choice. They believe people love beautifully made things, and that there is a shifting societal attitude that is less throw-away and more appreciative of craftsmanship. People are more likely keep it and look after new products. They also encourage people to make their own clothes, and experience life in a different way that allows more time to be spent on making things and appreciating things around you.